Not One More Death, Not One More Detention, Not One More Deportation. The recent tragic and shameful news of Lucia Vega Jimenezâ€™s death while under Canadian Border Services Agencyâ€™s (CBSA) custody in a migrant detention center has left us all reeling and outraged. Lucia was a 42-year old Mexican migrant who worked in Vancouver as a hotel worker. She was arrested on December 1, 2013 for an unpaid bus ticket and then transferred to immigration authorities, who incarcerated her at a provincial prison pending deportation. On December 20 she hung herself in the bathroom of the Vancouver Airport detention center and eight days later died in hospital, while still under CBSA custody. CBSA kept her death a secret, and to date neither a full coronerâ€™s inquest nor an independent investigation has been ordered. Since September 17, 2013 hundreds of migrant detainees incarcerated at the Centre East Correctional Centre in Lindsay, Ontario have been on strike, including boycotting their detention hearings and hunger-strike (two men were on hunger strike for over sixty days). The detainees are calling for their release and an end to indefinite detention and maximum-security incarceration. Striking migrants have faced reprisals with many deported, locked-up in segregation, moved to other prisons, and denied access to legal counsel. These stories have brought some attention to migrant detention in Canada, but the reality is that migrant detention is shrouded in secrecy. 1) Since 2004, there have been 8,838-14,362 migrant detentions per year in Canada. 2) Over the past seven years, the number of detained minors has fluctuated between 196 to 807 children each year. The actual number is higher because children are not officially tracked as detainees; rather, they are classified as â€˜accompanyingâ€™ their parents or guardians. Detained parents often have two choices: bring their children into detention or face child apprehension. 3) Migrants are the only population within Canada who can be detained simply on administrative grounds without being charged with a specific criminal offense. Migrant detention is arbitrary and discretionary. CBSA officers have broad powers to detain migrants if they believe â€“ based on mere suspicion â€“ that the person is a flight risk, a danger to public safety, inadmissible on security grounds, or is not adequately identified. Contrary to popular perception, 94.2% of refugees are detained on grounds other than being an alleged security threat. 4) Detainees are held in either one of three CBSA-run immigration detention centers or in one of over forty provincial prisons, including maximum-security prisons. Over one-third of all migrant detainees are held in provincial prisons. 5) The three immigration detention centers are in Toronto, Laval and Vancouver. The detention center in Laval is actually called the â€œCentre de prÃ©vention de lâ€™immigrationâ€ (Immigration Prevention Center). 6) Despite what the Immigration Minister says, detention centers are not â€œhotel-styleâ€ facilities. Detention centers and provincial prisons have barred windows and central locking systems, are surrounded by high-tech razor-wire fences, and detainees have no freedom with limited access to lawyers or visitation. In some overcrowded centers, detainees sleep on the floors. Some are locked up in their cells for over eighteen hours a day. Detainees are handcuffed to and from detention centers, including being chained to hospital beds when requiring medical attention. 7) Canada is one of the only countries to use prisons to incarcerate non-citizens and to mix populations of migrants facing administrative offenses with those facing criminal charges, increasing in-custody tension and violence due to different lived experiences. 8) Canada is one of the only â€˜Westernâ€™ countries to haveÂ indefinite detention with no time limitÂ on how long a migrant can be incarcerated pending deportation. The US and EU countries have a â€œpresumptive period,â€ meaning that if removal cannot happen within a certain number of days then detainees must be released. In the US, this period is 90 days. In Canada, some immigration detainees have been held for nearly ten years. 9) Canada has no institutionalized framework for consistent independent monitoring of detention conditions and making reports on these conditions publicly available. Only the Red Cross has some limited access to immigration detention centers, and in the case of the Vancouver detention center, even lawyers do not have access to visit detainees. 10) According to an independent study, over 75% of detained asylum-seekers are clinically depressed, 65% are clinically anxious, and over 40% suffer from post-traumatic stress disorder. On December 15, 2012 the Refugee Exclusion Act (Bill C-31) was fully implemented. This drastic new omnibus bill is based on the internationally-condemned Australian policy of mandatory indefinite detention that has resulted in an average of three incidents of attempted self-harm per day as well as countless hunger strikes and prison riots in Australian detention centers. 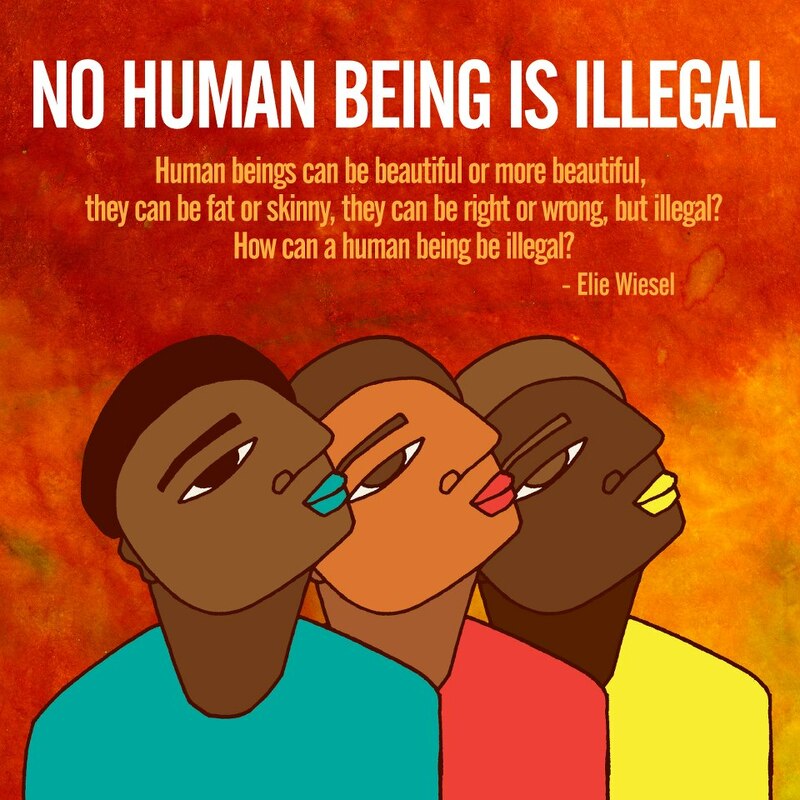 * Mandatory detention: Many refugees deemed â€œirregular arrivalsâ€ or â€œsmuggledâ€, including children over the age of 16, now face automatic mandatory detention upon arrival. * Denial of access to justice: Many refugees are barred from accessing the Refugee Appeal Division. All refugees face restricted access to justice, including a bar on certain legal avenues, and onerously short time lines to file their claims. * Discriminatory two-tier system: The Minister can arbitrarily and unilaterally deem certain countries as â€œdesignated country of originâ€ i.e. so-called safe countries (based on economic and trade relationships) that Canada will quickly deport refugees to. These refugees are denied basic and emergency healthcare. Since these changes, more CBSA officers have been hired and a CBSA report states, â€œdetention will remain a key tool for ensuring that failed refugee claimants do not evade removal.â€ As a result of increasing migrant exclusion and criminalization, it is estimated that migrants will become one of the largest growing prison populations with Harper’s prison expansion plan. The average cost of immigration detention is over $45.7 million per year. The three immigration detention centers are managed by CBSA but the day-to-day operations including food, security and transport are often handled by private companies including Genesis, G4S, Garda, Corbel Management Corporation and Serco. In Toronto alone, G4S and Corbel were paid $19 million in contracts between 2004 and 2008. Serco executives from the UK recently came to lobby the Parliamentary Secretaries to the immigration minister and justice minister. In 2010, Minister Jason Kenney toured two Serco-run detention centers in Australia. In the immediate, Canada needs independent civilian oversight of immigration detention centers and a comprehensive review of migrant detention policies. Particularly cruel and punitive conditions of migrant detention â€“ especially indefinite detention, mandatory detention, and maximum-security detention â€“ must end. We do envision an end to all detentions and deportations. Migrants are essentially detained for trespassing an artificially-created border (on stolen Indigenous lands). We cannot allow the government to perpetuate divisive and racist ideas of migrants as â€˜bogus refugees stealing our jobs.â€™ Despite decreasing crime rates, detention centers and prisons perpetuate notions of â€˜undesirablesâ€™ â€“ such as migrants, Indigenous communities, homeless people, youth of colour gang members â€“ to maintain state control, capitalist profits, and social hierarchies. People cannot be incarcerated simply for the crime of migration. The government is making it structurally impossible for people to migrate â€˜regularlyâ€™ as pathways to permanent residency for refugees, family members, and skilled workers are shrinking. Thousands of asylum-seekers languish behind bars, while hundreds of thousands of temporary workers and non-status people toil in fields and factories. Lack of full status, conditional residency, deportations, detentions, anti-terror laws, and security certificates make migrants vulnerable to exploitation, poverty, and daily indignities. The anti-immigrant rhetoric of â€œillegalsâ€ and â€œterroristsâ€ cultivates racist fear-mongering that compounds the treatment of migrants as sub-human, thereby ensuring that migrants work as low-wage, nonunionized indentured migrant labour for big business.